We know what you were thinking during Spring Training. Something along the lines of: “Who cares how many hitters the Orioles stuff inside Camden Yards? That pitching staff will get bludgeoned anyway.” Preseason projections ranked them anywhere from fourth to last place in the AL East, too. However, things have not turned out that way. At the mid-July point, Baltimore continues outscoring the competition against more (possibly all) odds. As the AL East clubs tool up in hopes of overtaking the first-place O’s in the second half, we take a look at how this improbable club is keeping the division favorites at bay. 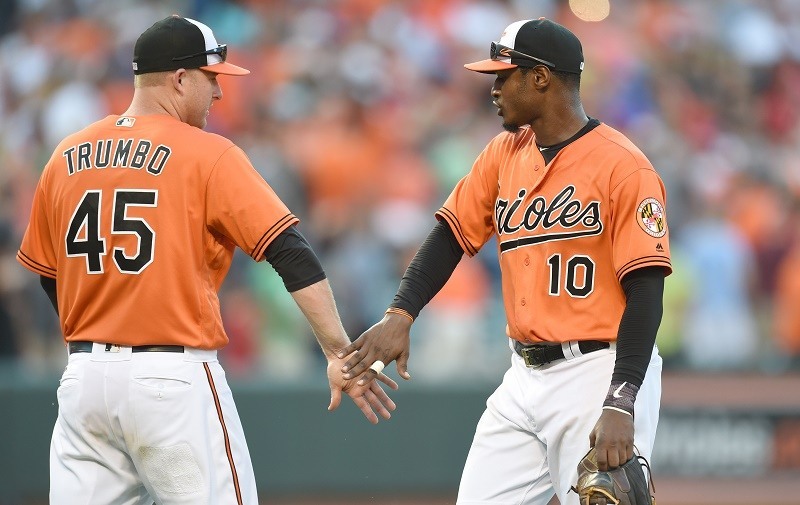 All things Orioles begin and end with offense, so we’ll get it out of the way first. If you like WAR, O’s hitters rank third; going by runs, they rank seventh; by home runs, they rank first; and they rank second in slugging. The usual thumping by Adam Jones (17 HR, 56 RBI) and Chris Davis (22 HR, 64 RBI) has continued unabated, but something far more special is taking place in the Inner Harbor: Three Baltimore hitters are having career years. In the case of Jonathan Schoop (.304, 14 HR, .847 OPS), we’ve seen the realization of terrific promise already at age 24. Mark Trumbo (.288, 28 HR, .923 OPS), who has paced the league with his power bat this season, is set to smash his career bests in every category. Mix in the debut season of Hyun Soo Kim (.329, 3 HR, .864 OPS) and you have a balanced attack no pitching staff could handle over the course of three days, especially in the coziest confines of Camden Yards. 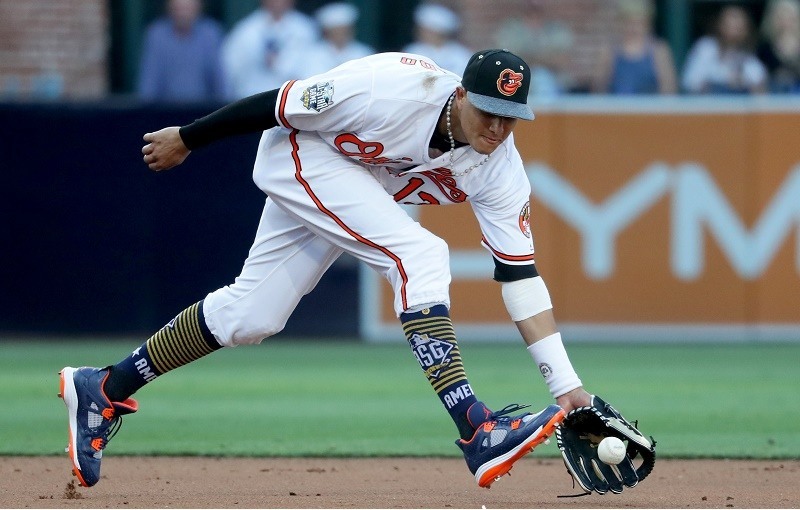 The craziest part of the above summary is that we didn’t mention Manny Machado (.318, 19 HR, .944 OPS), the MVP candidate who’s having his finest season in every aspect of the game. We have no idea how pitchers prepare for this club. Even midway through the season, it seems like an insult to the ghost of every quality starter of ages past. The crazy part is everyone outside of Tillman has performed exactly as you would expect. Jimenez sports a 7.38 ERA in 17 starts; Gallardo had a 5.82 ERA after nine games; and neither Wilson nor Wright has been able to keep his ERA below 5.00. Overall, the rotation is 28th in ERA and 23rd in WAR. But Tillman has been an absolute beast, compiling a 12-2 record and 3.41 ERA for the Orioles through the All-Star Break. After a poor 2015 season, the right-hander has regained his form and given the club the only dominant presence it can find out of the rotation. 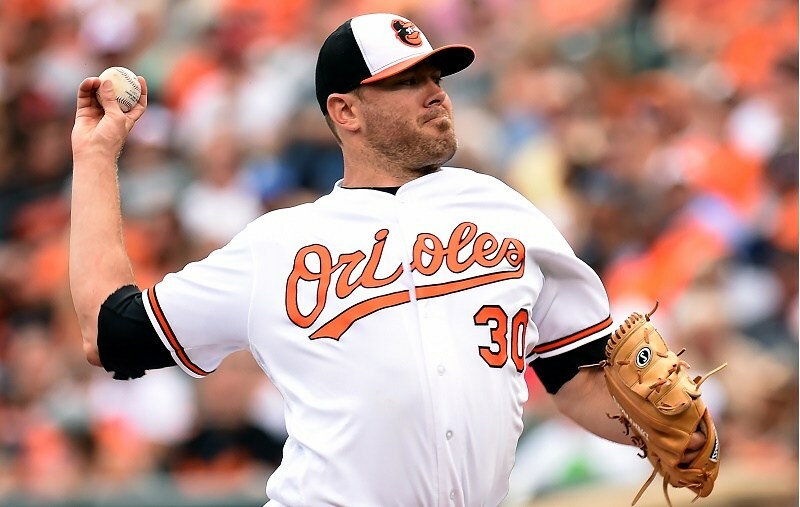 Strange as it seems, Tillman’s contribution has been enough in light of the stellar bullpen work. If you look at run differential (usually a good indicator), Baltimore’s +41 at the Break was only third-best in the AL East behind Boston (+66) and Toronto (+75). In situations like these, we always look at the close games a team must be winning, and the Orioles are doing exactly that with a 9-8 record (+1 run differential) in 17 tight games. So the bullpen has been even better than advertised. The spectacular work by Brad Brach (6-1, 0.91 ERA) and Mychal Givens (6-1, 3.35 ERA) has been more than enough to compensate for Darren O’Day’s injury. Meanwhile, Zach Britton closed the first half with a perfect 27-27 saves and a 623 OPS+, so Showalter feels quite secure going to the ninth with a lead. You can see a reflection of the 2015 Royals in this bunch: solid hitting up and down the lineup (more power here), a so-so rotation, and a bullpen that will shut you down. Will the homer-happy approach work in the playoffs? That remains to be seen, but Boston is already scrambling to play catchup with the trades for Brad Zigler and Drew Pomeranz. The AL East should serve up a nice dogfight for fans to enjoy the rest of the way. MLB: Are the New York Mets Still World Series Contenders?